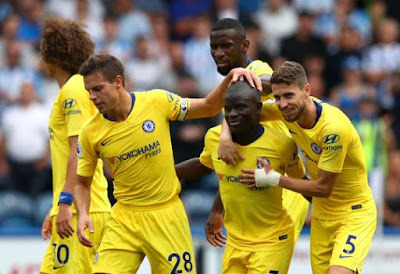 France International N'Golo Kante has revealed he is ready to do his best in the new position he has been deployed under Sarri. Kante has been deployed to play a more attacking role under Chelsea new coach Maurizio Sarri. The France international is use to playing a more deeper role for both Chelsea and France but Chelsea new coach Sarri wants the Midfielder to move more forward and help in attack. In an interview with beINSPORTS Kante spoke about the new position and life under the new coach. What do you think about Kante's new position? Do you think he can flourish there?